Soft Pretzel Sunday. – romi, kilo india delta. Delicious, salty, soft, and crunchy all at once. This is probably what love tastes like. Back in 2012, I lived in Colorado for a few months. 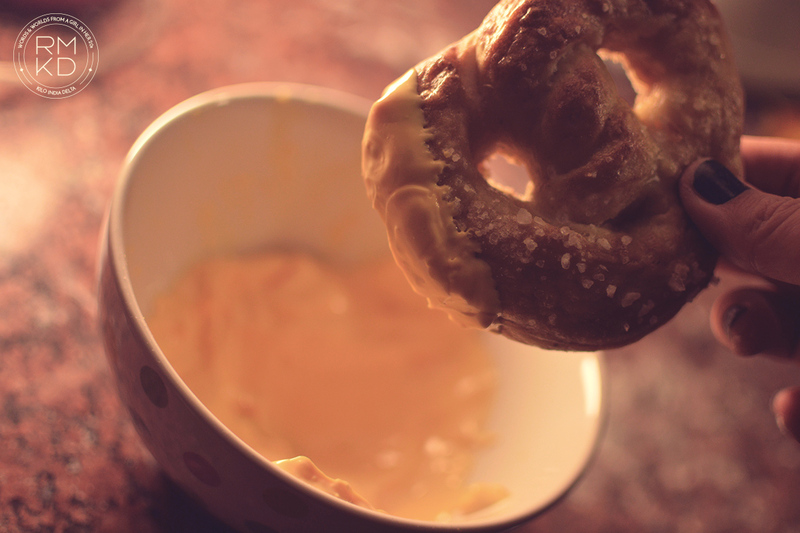 I remember the pretzels they sold on the street, and how I used to divert my way to work only to buy one of those gigantic treats, dip it in mustard, and make my day before my shift started. I miss that flavor a lot, since we don’t have anything like it where I live now. It’s not hard at all, just a little messy. 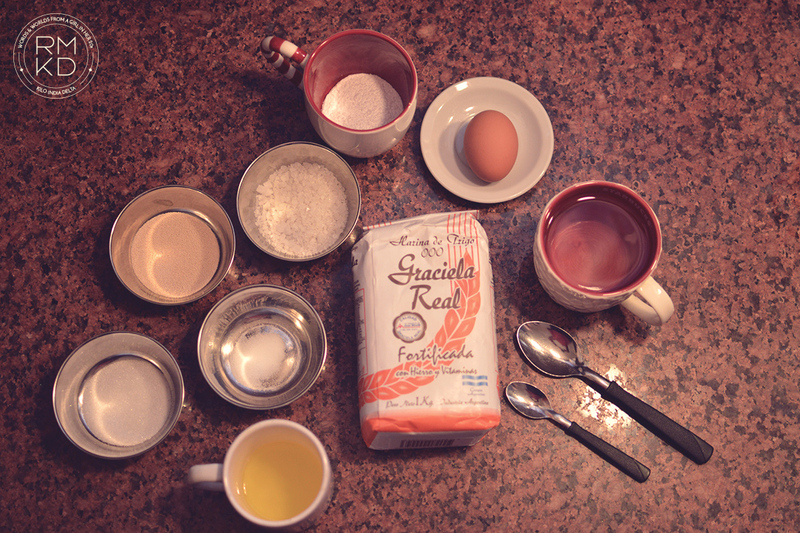 First, mix the sugar and the yeast, and slowly incorporate the cup of warm water. Leave for 5 minutes to rest. It’s supposed to look bubbly, mine didn’t. I kept going all the same. Whisk in the melted butter and then stir in the flour and salt until well combined. 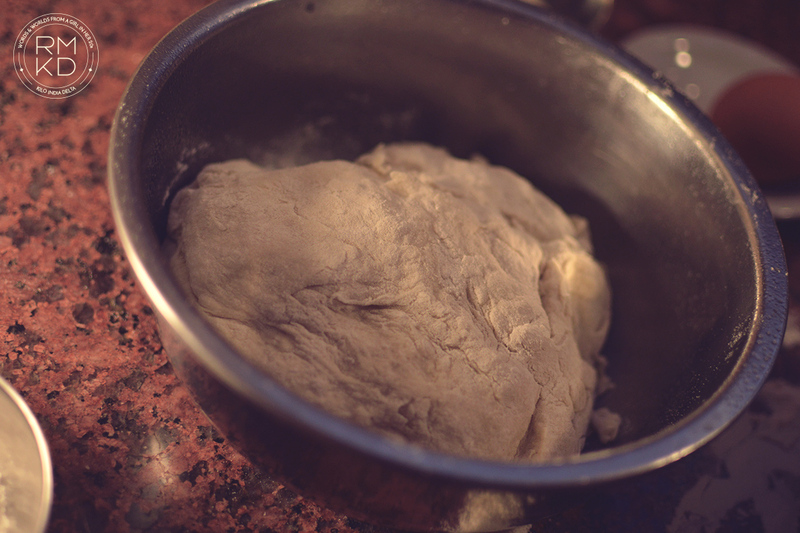 Then, form dough into a moist ball. Place in a lightly greased bowl and cover with a damp cloth. 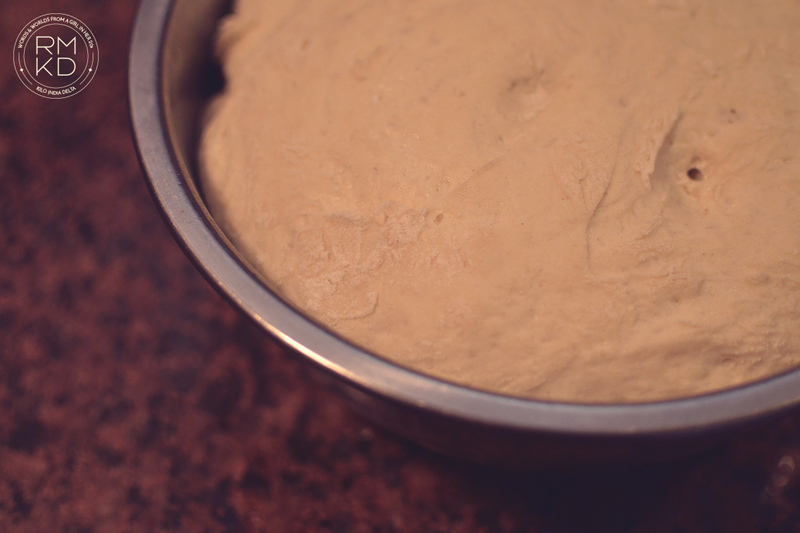 Let dough rise in a warm place until doubled in size, about 1 hour. All jokes aside, you need to let the yeast work its magic. You’ll see the difference if you just leave the dough alone and come back one hour later. 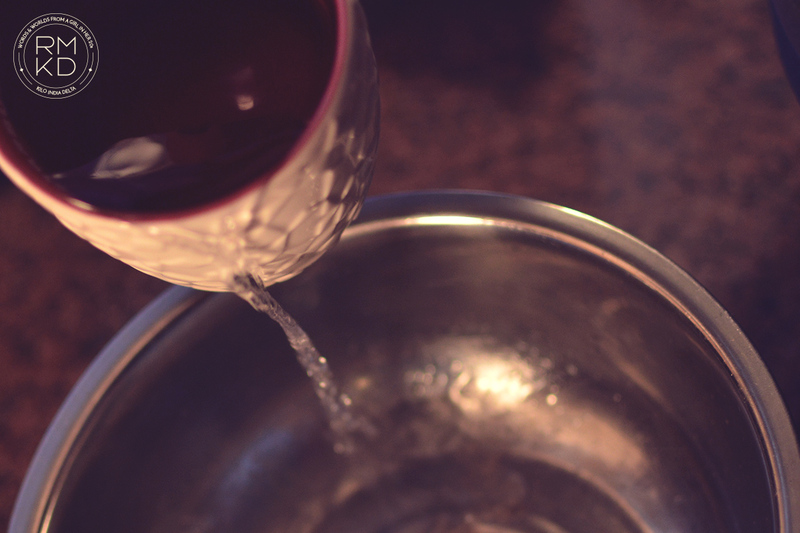 Once time is up, mix the 7 cups of water with the baking soda and bring to light boil in a large pot. 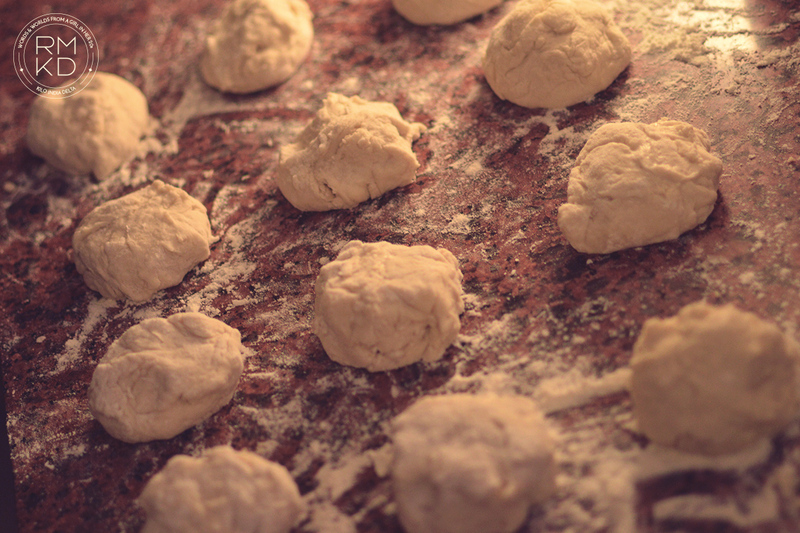 Divide the dough in 12 pieces of same size. The dough is supposed to be a little bit sticky and docile. Now, it’s PRETZEL TIME! One of the steps that make a difference is the baking soda boil step. This will guarantee that golden, crispy look. It’s also the most messy part, but it’s all for a good reason. Grease and flour one large baking sheet and set it aside. Preheat oven to 425°F. 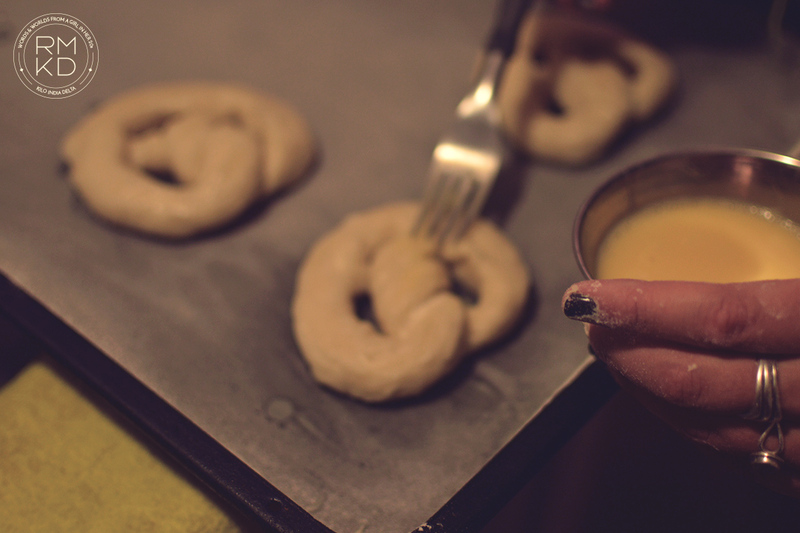 Now, grab that pretzel and sink it into the hot baking soda solution for about 30 seconds. It won’t lose its shape, I promise. After those 30 seconds, the original recipe called for a wire rack to leave the damp pretzel to dry. I didn’t have one, so I tried with a rack I had at home. The results were disastrous, since the dough was dripping between the wires. So for the rest of the pretzels, I just left them in the slotted spoon until all the water had dripped from them. Then, place the pretzel in the baking sheet. Let’s start a Kickstarter campaign to get me some fancy utensils.. like a brush. Whisk together the large egg with the teaspoon of water to create an “egg wash”. 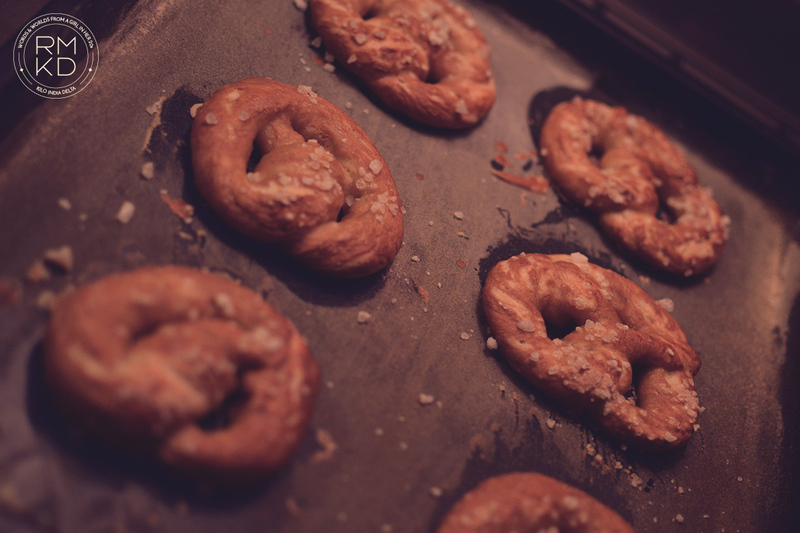 Then brush (if you have one) or “fork” (like I did), that egg wash mix all over the top of your pretzels. Sprinkle sea salt on them – don’t be shy! That’s the best part! You’re almost done. You can serve them with mustard or a cheese dip. Or both, because why not? 1. 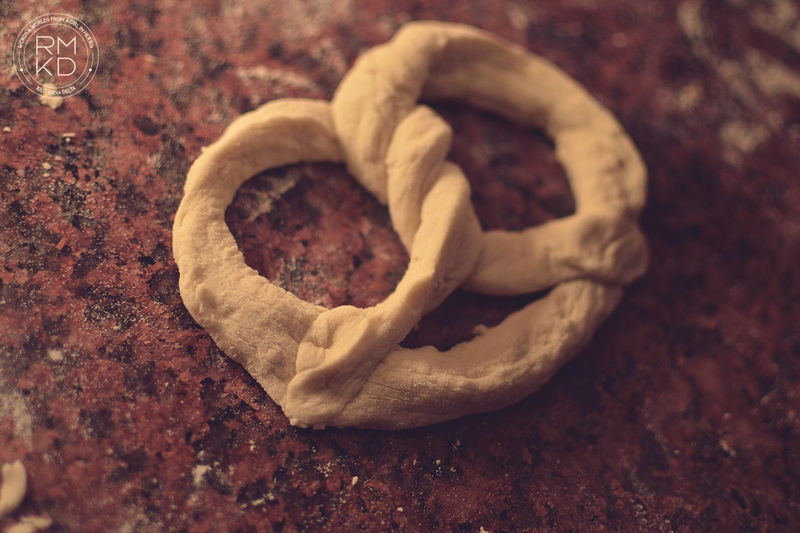 This recipe is good for around 12 pretzels. I recommend baking them in two batches. 2. While pretzels are pretty awesome themselves, the sauces you prepare to go with them really do the trick. Get creative! For example, mix some cheddar cheese and some drops of Chipotle Tabasco for a smokey dip with a kick. I’d love to anticipate which recipe will come next, but I’m traveling to New York City on Wednesday & Scary And Delicious Recipes will be left aside for a while. But don’t worry! I’ll make sure to prepare some serious Foodie Guides of my destinations. And once again, thanks to my sister Georgi, for helping me and taking the pictures, to my brother Ale who played some awesome indie tunes while waiting for the dough to rise. Also, thanks to my super talented boyfriend Maxi, who’s always by my side making my life more tasty. Stay tuned to Kilo India Delta! One last post before my flight (and 24 hours of transit) on Wednesday. Leave your comments below if you have any questions or suggestions! Much love. 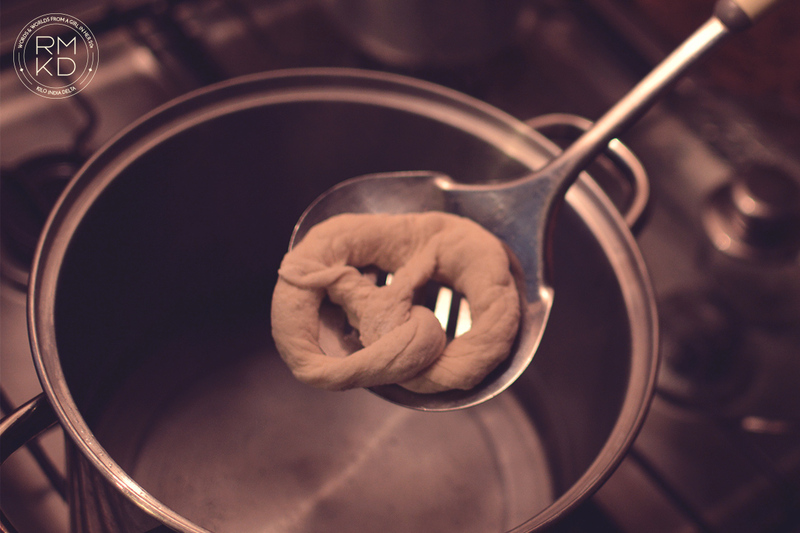 Making your own pretzels seems difficult, like it would be hard to get the consistency just right. It was definitely difficult. Specially the baking soda part. While it didn’t taste exactly like a courtyard pretzel, it was more homey and still pretty good. I’ll try with a different type of flour next time.